Even though I don’t actually ever use those beautiful old tea sets, I love the look of them! You can find them all over at flea markets, antique stores and estate sales. Because of all the different designs and shapes, they make a great collectors items. I just inherited several different sets from my in-laws when they cleaned out their china cabinet. I loved them all but I had just one little problem. I don’t have a large china cabinet for storage myself. I have a small cabinet that just fits all of my china nicely. So what to do with all of these sets? The first place that I thought of was in my bathroom. I can always use more small storage accessories for the counter. A cream and sugar set would be the perfect vintage decor with the pretty florals! I put my make up brushes in the creamer and filled the sugar bowl with cotton balls. I’m happier using these for storage than the glass containers that I was using before. Another obvious place to go was in the kitchen. I can always use more counter storage containers for small items. 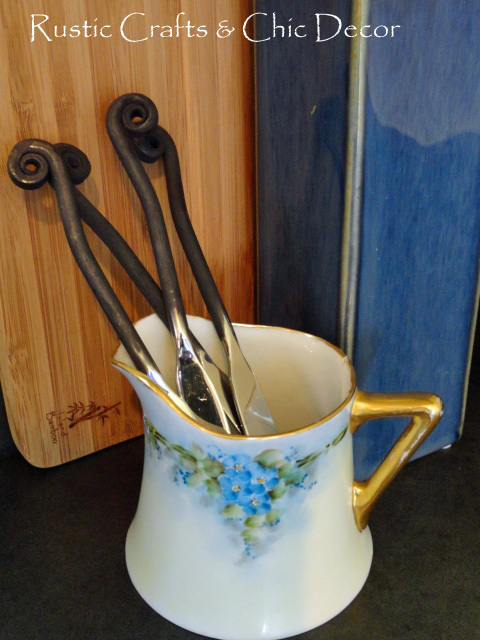 A creamer would be perfect for storing some of my decorative cheese spreaders. Now they will be right at my fingertips when I need to use one. The creamer also adds a nice little bright spot to the corner of my counter. 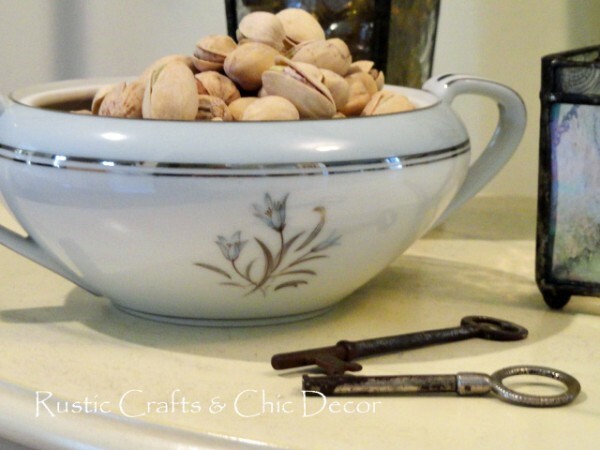 The third idea I had was to use one of the larger sugar bowls as a candy or nut dish. I usually don’t have candy in the house so I filled this one with pistachios. Another idea I had was to use some of the sugar and creamers as planters and line them up by a window. I just have to get some plants yet! I think the variety of floral patterns would look nice and Springy all lined up together! I hope these ideas have inspired you! These are something to keep in mind when you do your flea market shopping. 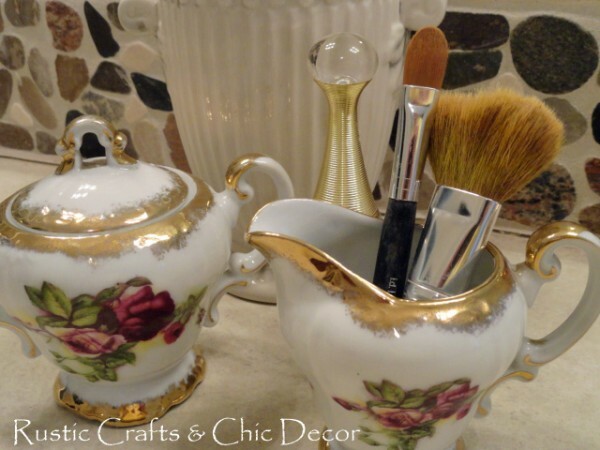 A vintage cream and sugar set would be a good find for your vintage decorating! LOVE THIS, by the way. You need to decorate my apartment.